Hey folks, summer is officially here! And you know what else is here with this summer? Season of ice cream! So, we are here with 7 easy homemade ice cream recipes in some awesome flavors. Nope, you don’t need to be a professional, and you don’t need any fancy machine either for these quick ice cream recipes. Turns out, making ice cream at home is not a rocket science after all. What could possibly be better than buying ice cream in this summer? Ahem, making your own ice cream! Sounds like an absolutely sinful treat (especially the ice cream recipes we have here for you), doesn’t it? What’s so special about our recipes you ask? Well, for starters, these are super easy to make as only 2 - 3 main ingredients are required; and we are pretty sure, these ingredients are already there in your pantry! Also, making homemade ice creams only takes 5 minutes, excluding the preparatory time. Go ahead, roll up your sleeves, and be prepared to be amazed at how wonderful an ice cream chef you could be without any assistance or using any fancy machines. 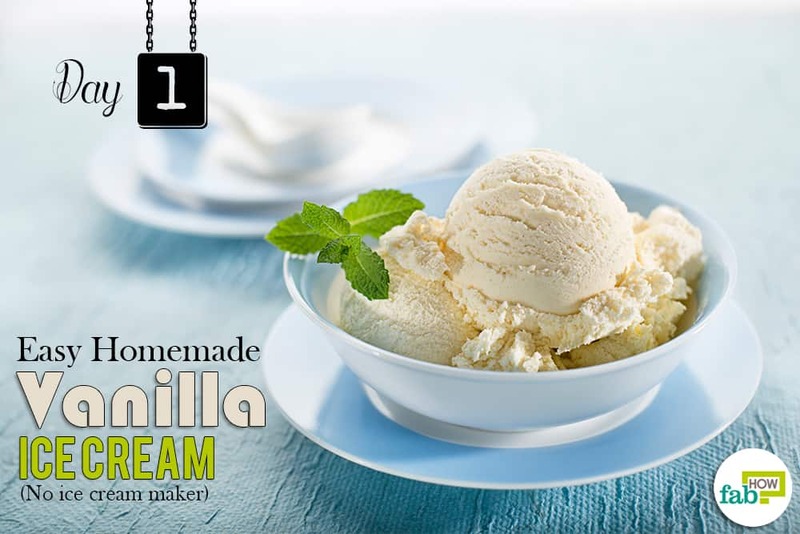 First in line for this weekly ice cream treat is the Easy Homemade Vanilla Ice Cream. 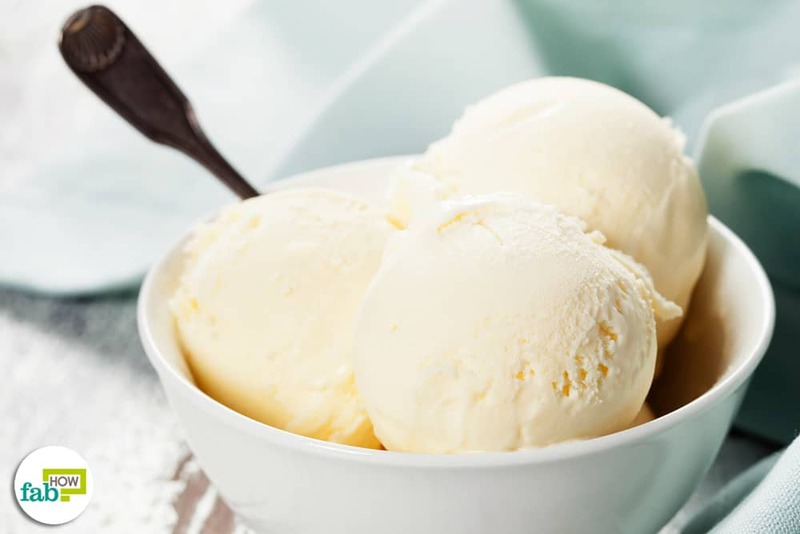 Vanilla ice cream is everyone’s favorite; not just because of its classic flavor, but also because it is the go-to ice cream that you could always indulge in. Main ingredients to make this ice cream include condensed milk, heavy cream, and vanilla extract. Add 2 cups of heavy cream to the blender. Whisk it for 2 minutes. Fold in an entire can of condensed milk. Add 2 tsp of vanilla extract for added flavor. Add chocolate chips for flavor and taste. 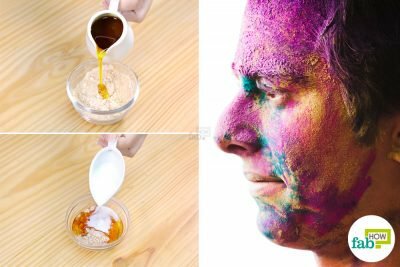 Transfer the mixture to a bowl and cover it. Freeze it for 6 hours or until it is firm. If you aren’t a fan of chocolate chip-flavored ice cream, then you could replace chocolate chips with chocolate syrup or nuts. The best part about making ice cream at home is that you can customize it as per your preference or the way your children like it. Vanilla ice cream is as versatile as it gets. 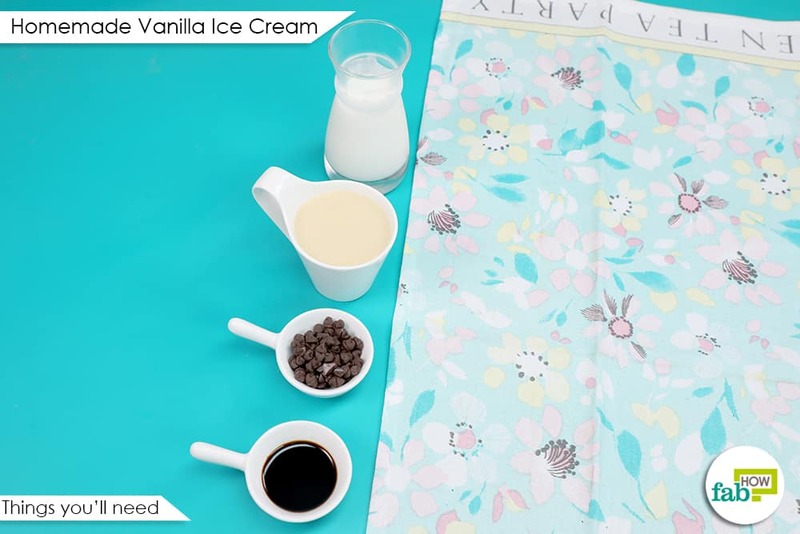 You can add or replace any ingredient to make this ice cream; except the main ingredients, of course! Add crumbled Oreos to your vanilla ice cream for classic cookies and cream flavor. You can also pour in some mint extract for minty chocolate chip ice cream. Mix your favorite Nutella, the chocolate-hazelnut paste, with your ice cream instead of chocolate chips for a Nutella-flavored ice cream. If you’re always looking for an excuse to have coffee, add instant coffee powder to the mix for a coffee-flavored ice cream. 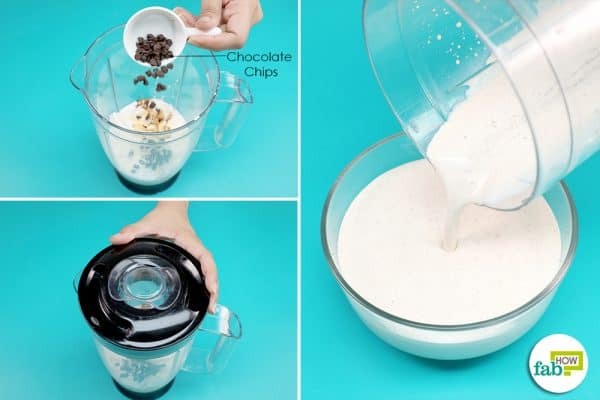 If you want a homemade McFlurry ice cream, add M&M's or any of your favorite chocolate bars to the blender and mix it with the main ingredients. You can even add fresh strawberries for a classic strawberry-vanilla flavor. Throw in some pieces of chocolate-covered pretzels and chocolate chips to get your all-time-favorite chocolate pretzel flavor. For cookie-flavored ice cream, add chunks of cookies to your vanilla ice cream mix. Mix cherry syrup or cherry extract or cherry liquor, and fresh cherries, along with chocolate chips, for chocolate cherry ice cream. You may also add mini marshmallows and chopped almonds to the vanilla ice cream. Homemade vanilla ice cream, if kept in an airtight container, can be stored in the freezer for up to 3-4 weeks. Always use fresh and high-quality ingredients for better taste and keeping the ice cream edible for a longer period of time. You can also use a scoop with liquid antifreeze inside the handle to prevent it from getting cold. You can easily buy such scoops from any kitchen stores. You can have pressed scoops of softened ice cream in between cookies for a quick dessert break. If you are serving your ice cream in a cone, try dipping it in a bowl of sprinkled (or finely chopped) nuts. You will love it. 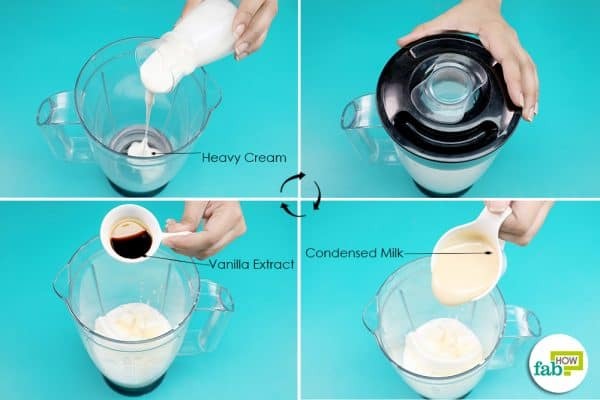 Love experimenting with ice cream? Try making your vanilla ice cream fun and fizzy dessert by pouring some soda in a glass filled with ice cream scoops. You can also add a shot of instant espresso. We know how much you hate ice crystals in ice cream. To prevent this, follow one of our simple kitchen hacks. Cover the ice cream container or tray with a plastic wrap and seal it tightly before storing it in the freezer. To maintain a good texture, keep the ice cream as cold and stable as you can. Always! Store your ice cream at the end (back) of your freezer, or beneath other frozen-sold items. This way your ice cream will not be exposed to the warm air that escapes into the freezer every time you open it. For best results, freeze the tray or container for 24 hours before you use it to store ice cream.